Last week, we wrapped up our time on positive relationships; the third element in our journey through PERMA, Dr. Seligman’s model of well-being (1). I hope you enjoyed exploring this pathway to well-being and discovering tools to cultivate stronger relationships. I know I did! This week, I am excited to dive into the M of PERMA — Meaning! Meaning has been desired and sought after by many over the years. 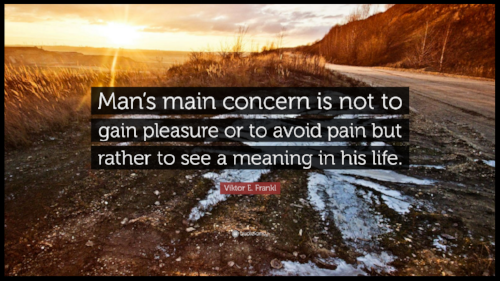 Finding meaning is a core human desire and is a common subject of many philosophers and theologians. As you may know, the world is improving in countless ways, yet hopelessness and depression are on the rise in developing countries and have become an epidemic in recent years here in the Unites States. Is this due to a misguided pursuit of happiness? Is it due to our increased wealth? Well, wealth does appear to be a factor. As GDP rises, we are losing our sense of meaning. People in wealthier countries tend to be happier with their living conditions, and yet, they also tend to suffer from lower levels of meaning (2). 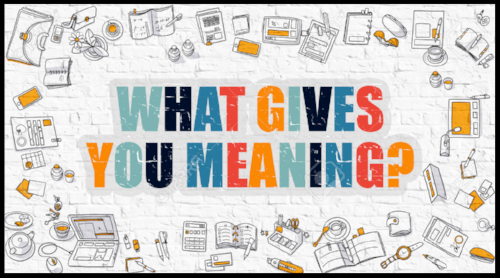 Research supports the importance of meaning. In fact, unhappiness doesn’t seem to explain the increased rates of suicide. The variable that seems to - a lack of meaning (2). How can modern societies find meaning and bridge this gap in fulfillment? We can’t find something that we don’t understand, so what is meaning anyway? Smith argues that meaning is the feeling of purpose, coherence and worth (2). In fact, she argues that what our culture needs is a shift from the pursuit of happiness, which by it’s nature is a temporal emotional state, to the pursuit of meaning, which has the potential for sustained increases in well-being. Expectations impact experience. Perhaps we are searching for happiness in places that don’t fulfill us? This is one reason, I am so excited to journey towards well-being with you each week and explore the PERMA model with you all (1)! So, on with a search for meaning! The search for meaning can feel grand, overwhelming, and/or difficult to approach. It can feel like it needs to be tied to legacy. But how do we achieve legacy? In small actions over time. I believe that meaning is created in moments and cultivated through the awareness of actions that align with our personal values over time. Think about it, if we value something, we consider it a worthwhile pursuit, if we engage and are consistent over time, coherence develops. As our actions and values align, this fuels our sense of purpose and enforces our values. Meaning need not appear. It can be developed in moments. Moments are manageable and approachable. 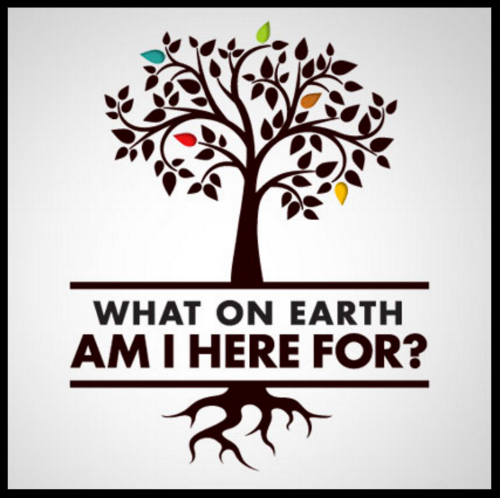 Let's start by asking - what’s your why? How and where you find meaning is deeply personal. As we begin our search for meaning, consider the following questions: What brings you a sense of meaning in your own life? What do you consider to be worthwhile? How do you explain your place in the world? When do you feel joy and awe? Where do you find meaning? Perhaps you find meaning in your work? At home? In your relationships and connections? Within a particular community? Through a practice of faith? When and where do you feel purpose, coherence and worth (2)? What does it really look like? Can you picture it? I invite you to pause and take a few minutes to write down some initial thoughts to these questions. Let’s continue to ponder this question. Remember, cultivating meaning is a process of discovery that aligns your values in action. Sound familiar? Earlier this year, we spent and entire series of blogs developing our strengths through the VIA or Values in Action (3). When we use our strengths meaning has an opportunity to creep in and bring fulfillment, so let’s draw our attention to and cultivate our awareness of what is meaningful in our lives. I am mindful that this exercise can be intense for some folks, so feel free to approach these questions another way if that is best for you. That said, if you are able, I encourage you to embrace this exercise as it can be particularly powerful. I hope you enjoy writing your legacy this week in an effort to begin cultivating meaning in your own life, and I look forward to seeing you next week as we continue to explore meaning and dive into the four pillars! 2. Smith E. The power of meaning. Random House; 2017. (Vol 1). Oxford University Press; 2004. 4. Peterson C. A primer in positive psychology. Oxford University Press; 2006.